Dr. K.M. Nair is a Consultant in Cardiology at Aster Clinic, Karama (UMC). 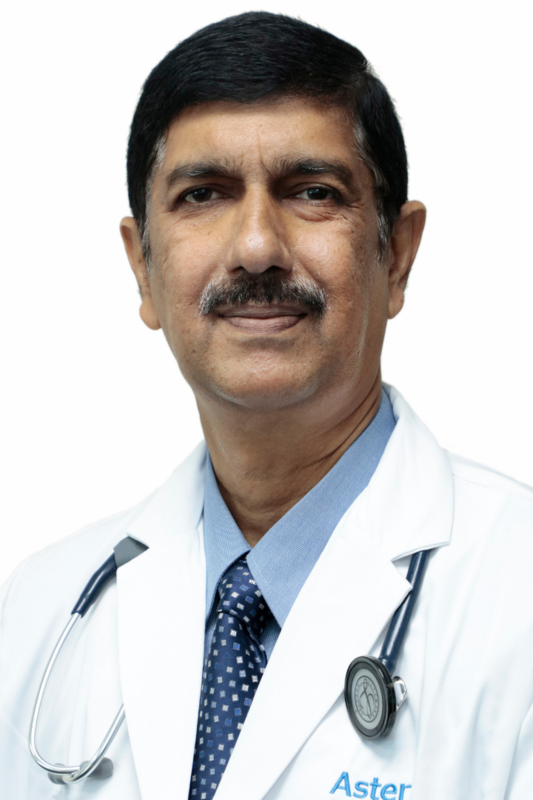 He has completed his MBBS, MD, and DM (Cardiology) and prior to joining Aster DM Healthcare, Dr. Nair was a Senior Specialist in Cardiology at the Salmaniya Medical Complex in Bahrain. And he also served as a Senior Consultant in Cardiology at the Apollo Hospitals, Bangalore.